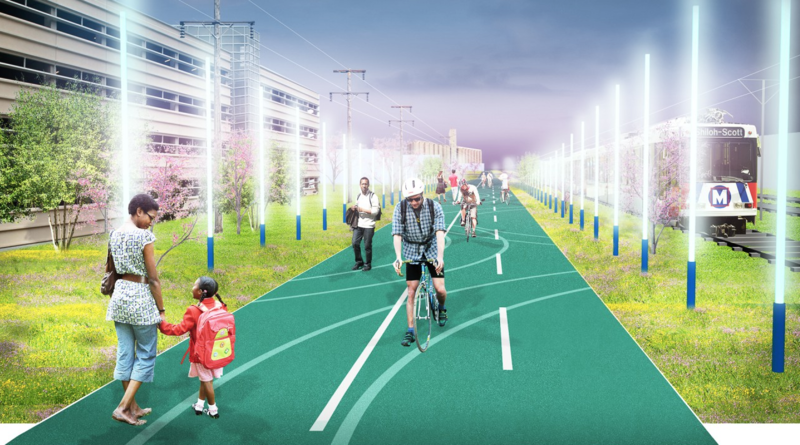 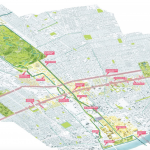 Along with a team of artists, planners, and architects, Stoss Landscape Urbanism has won a competition to knit St. Louis into a walkable, bikeable green strip between the Gateway Arch and Forest Park, the city’s largest, on the western end of town. 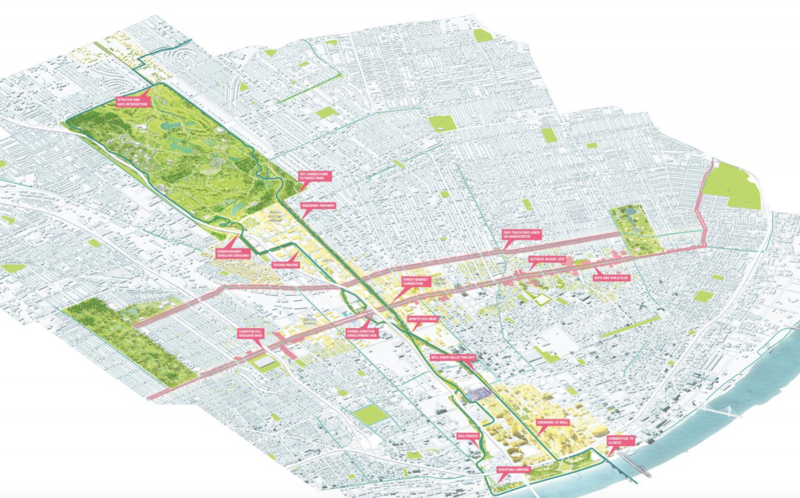 The St. Louis nonprofit Green Rivers Greenway asked L.A.- and Boston-based Stoss and three other teams to link the riverside to the center of the city for the Chouteau Greenway. 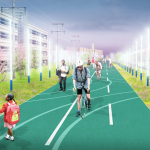 A citizens’ group, the Chouteau Community Advisory Committee, worked with local organizations organized under the Chouteau Design Oversight Committee to review the designs in public fora. 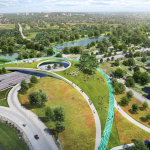 According to ArchDaily, over 2,000 residents responded to Green Rivers Greenway’s survey soliciting input on the designs. 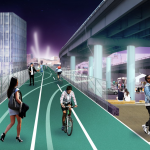 Stoss’s win was first announced in early May. 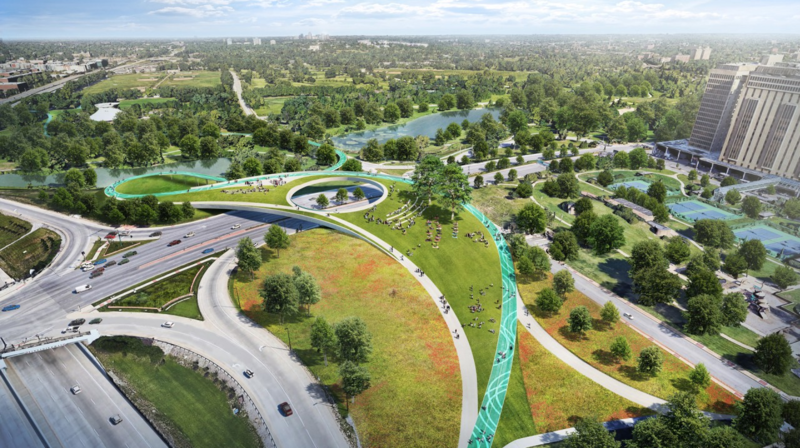 Stoss is calling its concept The Loop + The Stitch, a nod to the circular bike and foot path (outlined in green, above) that will connect downtown and the Gateway Arch to Forest Park and Washington University in St. Louis, home to the well-regarded Sam Fox School of Architecture. 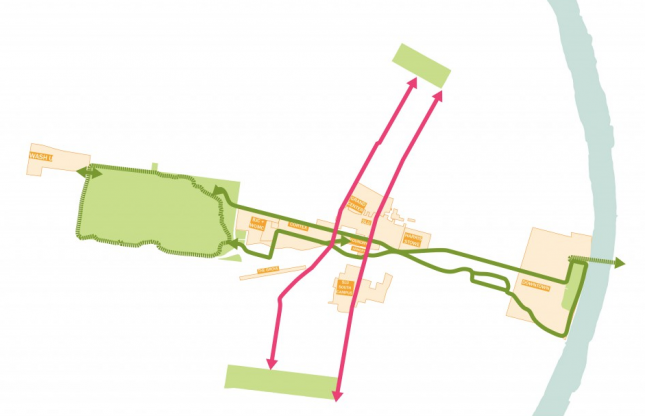 The “stitch” portion, delineated in magenta, links the city’s north and south neighborhoods together and to the “loop” with pedestrian infrastructure. 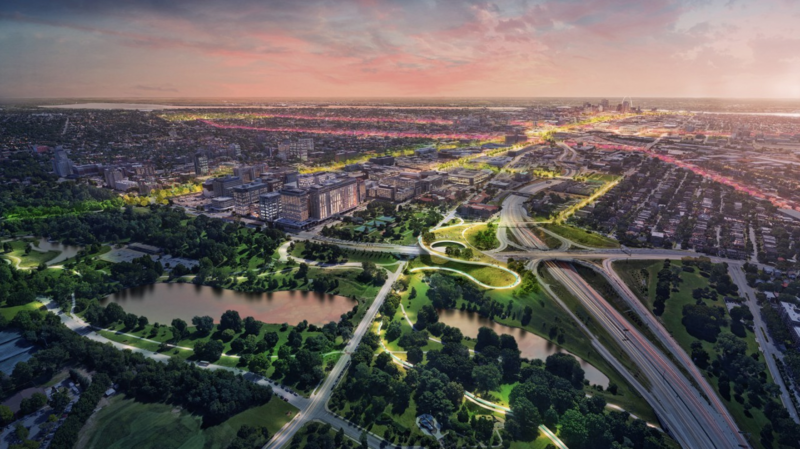 Stoss collaborated with Marlon Blackwell Architects and five other firms on its design. 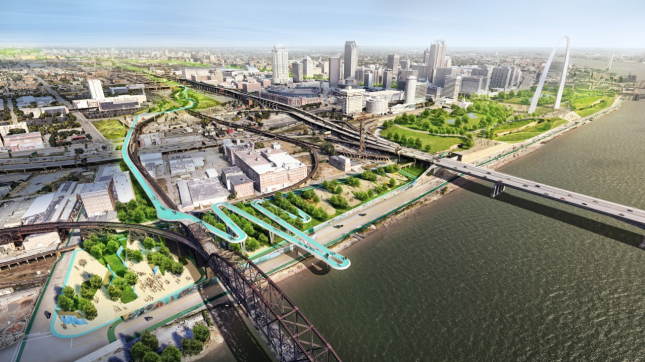 This isn’t the first major landscape project to shape St. Louis recently. 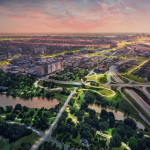 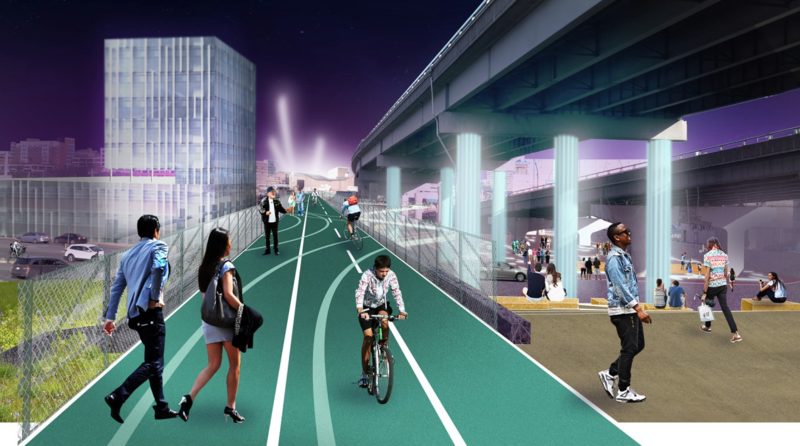 Last fall, Brooklyn’s Michael Van Valkenburgh Associates (MVVA) debuted CityArchRiver, its plan to reconnect Eero Saarinen and Dan Kiley’s Gateway Arch and landscape with the rest of downtown over a portion of I-44.